Bell peppers are rich in vitamins and antioxidants and are good for dogs in moderate amounts. Dogs shouldn’t eat spicy peppers. Just like with everything, don’t overdo it. 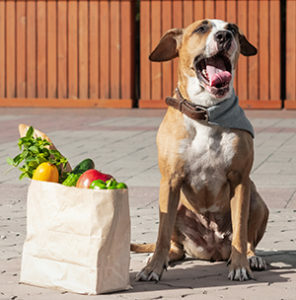 A dog who isn’t used to eating fresh vegetables can get an upset stomach from munching down a whole bell pepper. Start with some slices and make sure to remove the seeds. You can also dehydrate strips of bell peppers and use as treats. If you dehydrate them until they’re “chewy” they should be kept in the fridge and used in the next few days. Bell peppers dehydrated until they’re crisp can be stored in room temperature in an airtight container. If your dog eats a spicy pepper, look out for nausea and an upset stomach.